The Human Rights division of the High Court in Accra today heard the case in which Food Sovereignty Ghana (FSG) is suing for an interim injunction on the commercial release of Bt cowpea and genetically modified (GM) rice in Ghana. Today Judge Kofi Essel Mensah for the sake of time abridged the application for joinder by the Kanyan Akuafuo Kuo (KAK) from the Brong Ahafo region which was scheduled to be heard on June 16th 2015 and moved the date to the 15th June as all parties to the case were all present in court and already represented by counsel. He also granted the request for joinder by the Vegetarian Association of Ghana (VegGhana) to join the case as plaintiffs against the commercialization and development of GMO in Ghana. 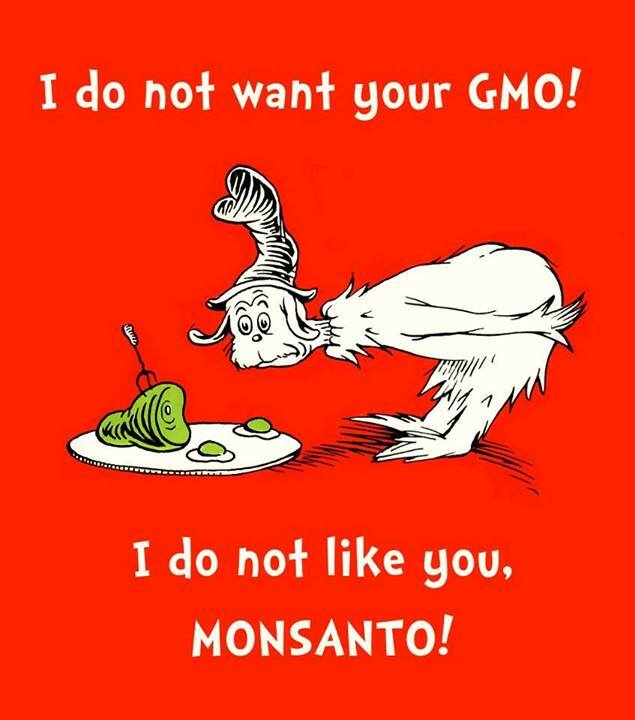 He cited a common position held by Vegetarians concerning the integrity of their food sources especially when some GM crops include the incorporation of animal genes as a relevant concern on their part. 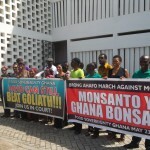 Regarding the application for joinder to the case on behalf of the farmers from Brong Ahafo, counsel for the KAK Lawyer George Tetteh Wayo stated that his clients did not belong to the GNAFF who as fifth defendants in the case were clearly in favour of GMO and made a distinction between the two organizations reminding the court that the KAK would want to continue farming using the same productive methods of natural seed selection and development as their forebears had successfully done for centuries. FSG is concerned about the development of fundamental challenges in the agricultural sector of several countries that have grown GM crops commercially. Currently in Burkina Faso where GMO cotton has been grown for about five seasons, farmers are finding that the cotton is producing less yields than promised by the seed companies and lower quality fibers. In South Africa GM cotton brought devastating effects to small holder farmers and the local credit institution could not sustain its business. In Malawi the Cotton Development Trust (CDT) has publicly voiced its concerns over a number of issues, including inadequate field trials, the high cost of GM seed and related inputs as well as blurred intellectual property arrangements. The judge directed that the original writ be amended to reflect all new parties on board within 14 days. The injunction on the release of bt cowpeas and rice remains effective and the case is further adjourned to July 8 at 9am.